Young learners just discovering the mathematical world are not limited to learning early number sense skills, such as counting. We can offer even our youngest learners opportunities to gain deep understandings of various mathematical concepts through hands-on activities and discussions. I've compiled a list of math activities for use with students in first grade, kindergarten, and pre-kindergarten that help them explore concepts such as number sense, measurement, patterns and geometry. As learning is typically an integrated experience for young learners, these activities also promote development in other domains, including physical development (motor skills), language and literacy. Pairing these hands-on activities with the ST Math digital games makes a powerful learning combination. All of these activites are printable and can be modified for small or large classroom groups, and students at different levels of understanding. Some activities require craft supplies, such as scissors, paint or other materials that are noted in the instructions. The Jigsaw JiJi activity helps students develop and reinforce number sense skills, including numeral recognition and one-to-one correspondence skills. Students are asked to put together JiJi, the penguin from ST Math. By putting together different shapes to make new shapes, students build their understanding of shape characteristics and properties. In addition, this activity helps students learn letter formation and develop other important skills such as problem-solving skills, fine motor skills and artistic skills. Paper JiJi focuses on early exploration of the concept of orthogonality. It is one of the precursors for content areas including coordinate planes, equations, functions, and data representation and interpretation. In this activity, students learn that two orthogonal, straight lines will always intersect at a point in space, at a 90 degree angle. 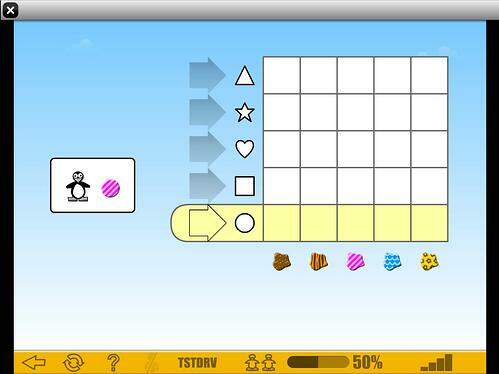 Paper JiJi is also a digital game found in the 1st grade ST Math curriculum. Patterning with J-i-J-i teaches students to recognize, extend and create repeating AB patterns. Students can draw the pattern elements, write the name of the elements, or adhere materials such as foam shapes or stickers to extend the patterns. More Patterning with J-i-J-i offers additional opportunities to practice these patterning skills. 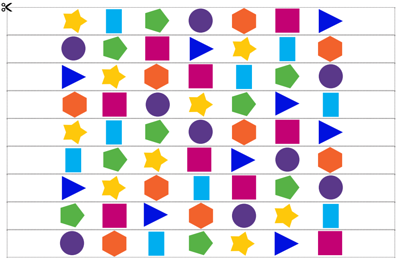 Repeating Pattern Strips is a printed paper manipulative students can use to create their own color or shape AB, ABB, AAB, or ABC patterns. For struggling students, first ask them to duplicate or extend a pattern you have made. Once they are ready, encourage them to create their own patterns! Lastly, in Identify the Missing Caterpillar Parts activity, students continute to build their understanding of patterns by identifying the correct color elements that will satisfy and complete each pattern. Recognizing patterns, differentiating types of patterns and manipulating patterns are foundational skills for algebraic reasoning. Activities that foster creativity, such as forming their own repeating patterns, can engage students in rich mathematical thinking! Color by Numbers: Triangles/Butterfly and Symm-ple Robot activities further develop young students' number sense and geometry skills. Use these worksheets again after WOW Symmetry! for more opportunities to explore symmetrical figures and lines of symmetry. The Shape Hunting with JiJi activity helps reinforce students' understanding of geometric shape characteristics and the attributes of squares, rectangles and triangles. Students can make deeper connections such as recognizing that squares are a type of rectangle and that a polygon (square, rectangle or triangle) is made up of stright line segments and must be a closed shape. Anything can be a unit of measurement, including bugs! 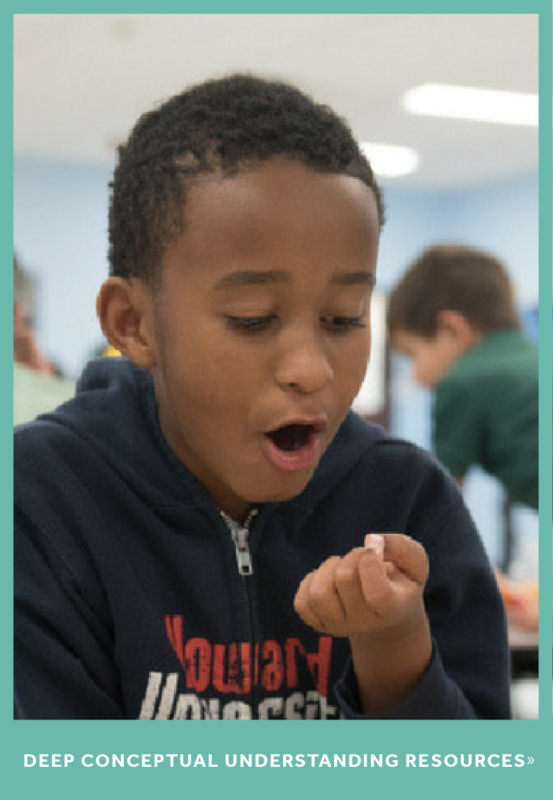 In Measuring with Bugs, students learn to identify length as one of the measurable attributes of line segments and shapes, and that any length can be measured with a nonstandard unit, laid end-to-end. Depending on which units they use, the same length might result in different values! 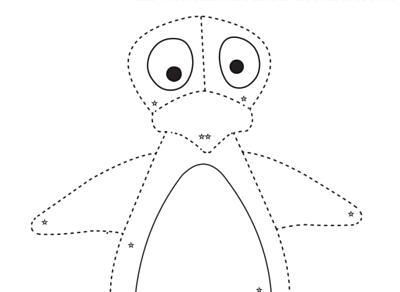 I hope that these hands-on activities will spark ideas for engaging your young students in rich and meangingful math explorations and learning with JiJi the penguin! 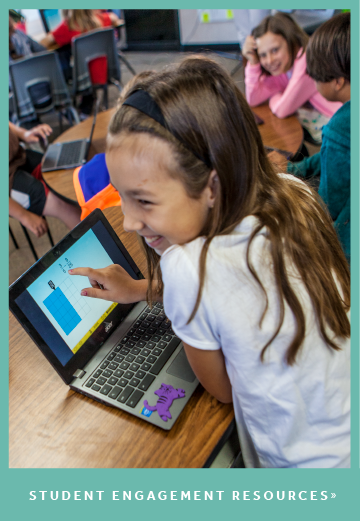 Interested in further engaging your students in math through digital software? 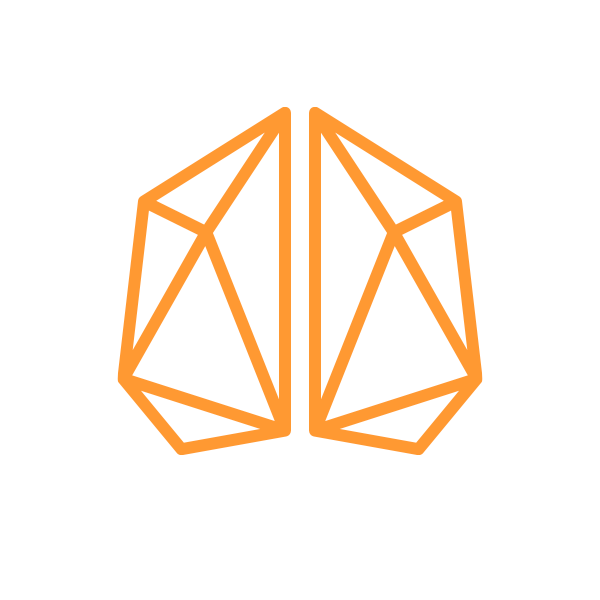 The ST Math game-based learning program is designed by experts in neuroscience and early learning to give young students a deeper understanding of math concepts.